High School students have the opportunity to gather with a catechist in a small group or home setting. Classes meet Wednesday evening or Sunday morning from mid- September to late February. Using the Total Catechesis series from St. Mary's Press, they are guided through faith topics and activities that are important to their daily lives as young Catholics. Confirmation This Sacrament is offered to all St. Pius X 10th graders who have completed at least 9th grade RE classes and meet the requirements of the program. Please see the Sacraments link above or contact Micaela Andrews for more information. 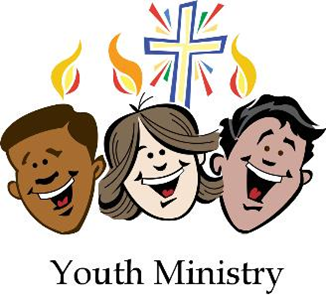 All high schoolers are encouraged to join other youth of the parish in Youth Ministry events.